Behind the sometimes seemingly random or even chaotic succession of events in our lives as well as in the world lies concealed the unfolding of a higher order and purpose. 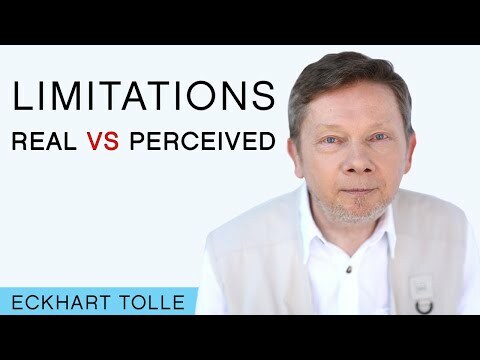 This is beautifully expressed in the Zen saying “The snow falls, each flake in its appropriate place.” We can never understand this higher order through thinking about it because whatever we think about is content; whereas, the higher order emanates from the formless realm of consciousness, from universal intelligence. But we can glimpse it, and more than that, align ourselves with it, which means be conscious participants in the unfolding of that higher purpose. When we go into a forest that has not been interfered with by man, our thinking mind will see only disorder and chaos all around us. It won’t even be able to differentiate between life (good) and death (bad) anymore since everywhere new life grows out of rotting and decaying matter. Only if we are still enough inside and the noise of thinking subsides can we become aware that there is a hidden harmony here, a sacredness, a higher order in which everything has its perfect place and could not be other than what it is and the way it is. The mind is more comfortable in a landscaped park because it has been planned through thought; it has not grown organically. There is an order here that the mind can understand. In the forest, there is an incomprehensible order that to the mind looks like chaos. It is beyond the mental categories of good and bad. You cannot understand it through thought, but you can sense it when you let go of thought, become still and alert, and don’t try to understand or explain. Only then can you be aware of the sacredness of the forest. As soon as you sense that hidden harmony, that sacredness, you realize you are not separate from it, and when you realize that, you become a conscious participant in it. In this way, nature can help you become realigned with the wholeness of life. Spiritual Teacher and author was born in Germany and educated at the Universities of London and Cambridge. At the age of twenty-nine a profound inner transformation radically changed the course of his life. The next few years were devoted to understanding, integrating and deepening that transformation, which marked the beginning of an intense inward journey. How Can I Stop Thinking and Remain Present While Life Is Going Well? Can The Ego Become Stronger As One Grows More Conscious? What About When Life Is Going Well? How Can I Find Out What Give Me Joy and Meaningfulness? Is Awakening a Gradual Process or a Sudden, Spontaneous Shift? 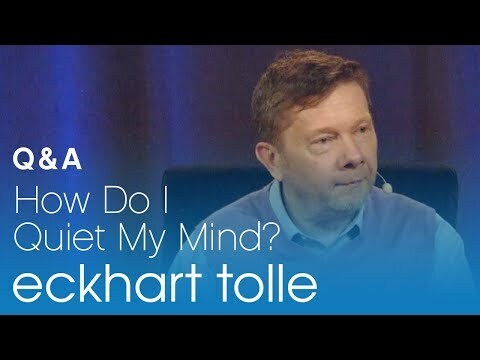 How Do I Quiet My Mind?